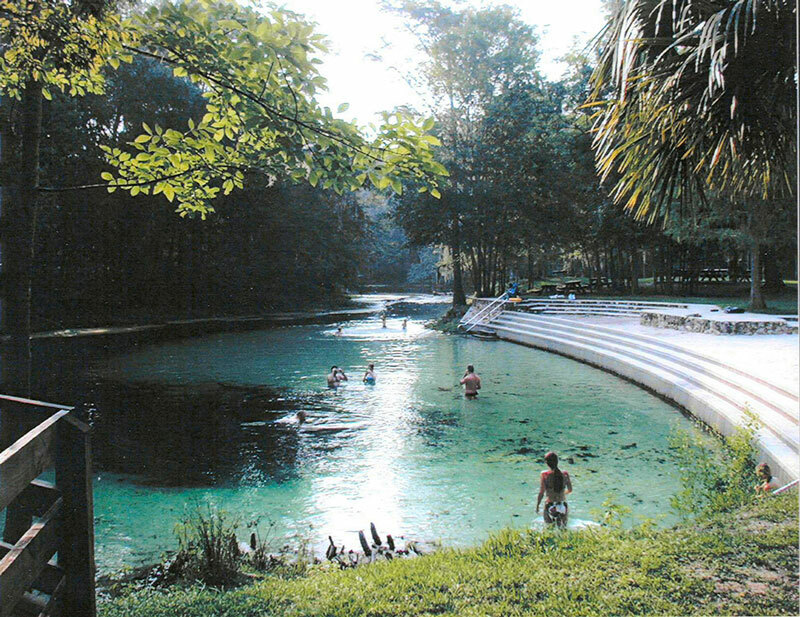 Poe Springs Park is open Thursday-Sunday from 9 a.m. until 6 p.m. The park is open on Mondays for Memorial Day and Labor Day. The park is closed on Thanksgiving, Christmas and New Year's Day. Park amenities include pavilions and picnic shelters, play areas, multi purpose fields, volleyball courts, and bar-b-que grills. 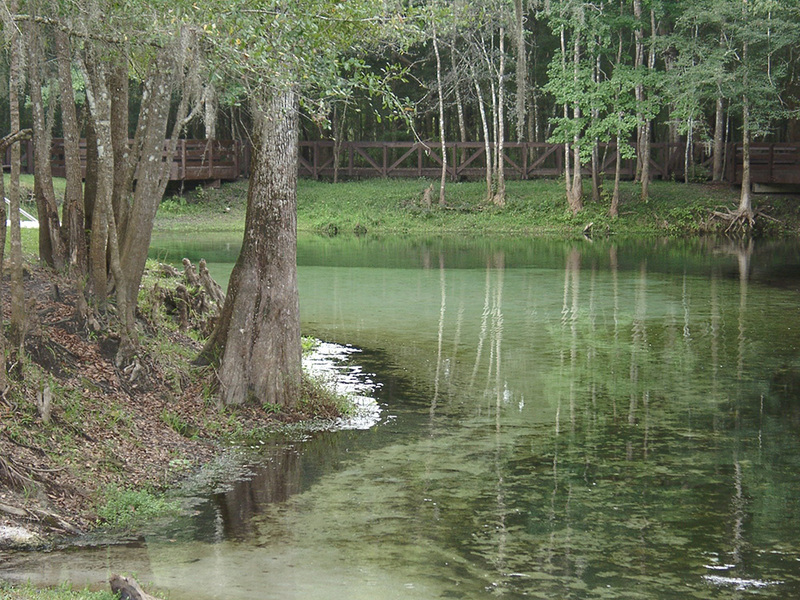 There are loop trails throughout the park for hiking, and a boardwark that traverses the cypress swamp leads visitors to the springs. A boat launch and two docks afford watercraft access to the river. The Lodge At Poe Springs is available for event rentals when the park is open, and is perfect for birthday parties, showers, and small weddings. Indoor seating can be arranged for up to 54 people conference style, and there is a kitchen (stove, refrigerator, sink) included in the rental fee. Restrooms are on-site, and there is additional picnic table seating under the attached pavilion. Weekend rental rate is $100/day, weekday rate is $50/day. A $100 refundable security deposit is also required to secure your rental. Call our Events Coordinator, Ron Gromoll at 352-264-6907 to check date availability, then fill out the Facilities Use Agreement and send via email to RGromoll@alachuacounty.us.